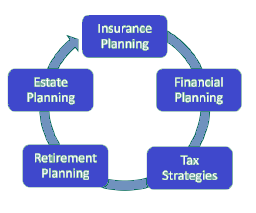 The financial planning process is an ongoing engagement of adjusting as changes in your life occur. It is not a onetime event that you ‘set and forget’. In order to pursue the financial independence you would like to have you need to stay up-to-date with the plan and pick the right people to work with. At the Boston Premier Wealth LLC we have the experience to help guide you through your unique cycles with intelligent and thoughtful strategies. We work with you to find the appropriate fit for your financial planning needs. Contact me today to book a complimentary appointment to review your financial goals and how we can help you reach them.